Atari's Missile Command is a simple game with ultimately the object is to defend your cities. The game consisted of a rather large 4.5'' black trackball with three Atari cone buttons which would launch your missiles. The game had great side art in addition to a cool looking control panel that pulls you right into the theme. I drove upstate roughly 4hrs each way to pick up this game from a craigslist ad. 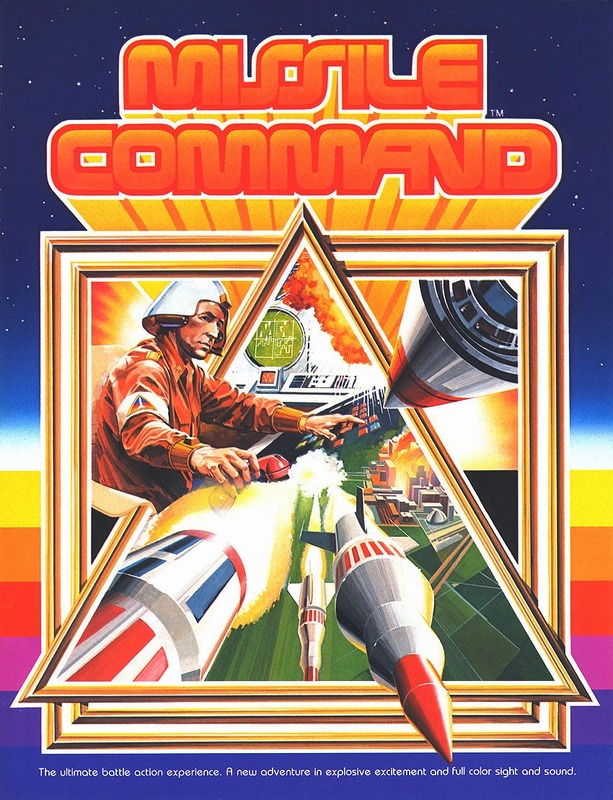 Missile Commands are certainly recognized as one of the better games from the golden age of the arcades. To this day a ton of ports and various digital versions of the game exists throughout consoles and mobile devices. The game was advertised as working, which upon pick up it was. However the game needed some minor cosmetic and preventative maintenance. One of the first things to address was the trackball. The original ball was worn and dull so I bought a new ball also the rollers and bearings were all replaced to give the trackball a nice smooth roll. Although the game was functioning I decided to do a little preventative maintenance & recap the ARII which regulates the power and audio. I ordered the kit from Bob Roberts website along with a few other items that I needed. The caps are all axial capacitors which have leads from both ends. It's also advisable at this point to resolder the existing molex connectors on the ARII. After everything was checked over several times It was time to break out my fluke multimeter. I was seeing a drop in voltage from the ARII to the main board, I looked at my wire harness and edge connector I don't think it was making a good connection so I decided to pull each pin as tedious as that sounds and hand sand each one to make a better contact. Sure enough after sanding all of the pins I was getting the proper voltage that I needed. It's probably advisable to recrimp with all new pins but that method seemed to work for me. This is one of the few games that I can think of that the speakers are built right into the marquee. I pulled off various parts and cleaned, sanded, painted etc..
Once I fired up the game I was unfortunately greeted to what looked like the blue screen of death in windows. I tossed the game into test mode and it said I had a bad rom with it's respective location. Taking a break from the restoration for a moment ... Atari's Missile Command was found also seen in the TV show Chuck, along with one of my favorite movies Terminator 2: Judgement Day. 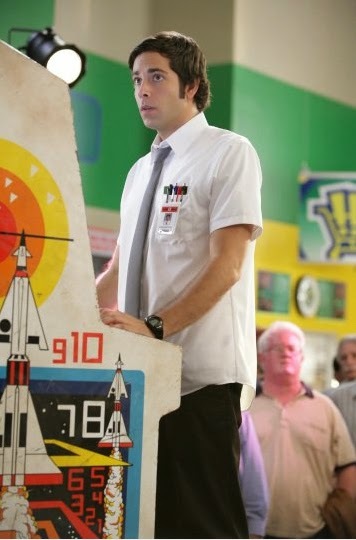 On an episode of Chuck which is titled "Chuck Versus Tom Sawyer", Chuck needs to play Missile Command in order to avoid a real nuclear disaster apparently to the Rush song Tom Sawyer. Missile Command can also be seen in the movie Terminator 2: Judgement Day at the Galleria mall scene. 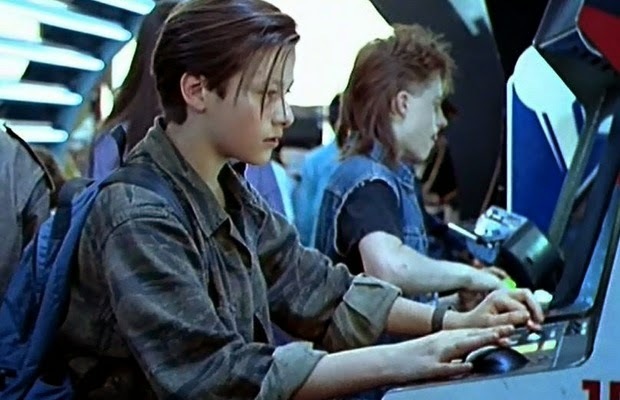 Robert Patrick's character the T-1000 is looking for John Connor aka Edward Furlong, and while he's playing Missile Command, the T-1000 asks his friend Danny Cooksey (also known as Budnick from Salute Your Shorts show) if he knows where he can be found . This is a great scene with tons of recognizable machines in the arcade at the mall leading up to a dual between the Terminator ( Arnold Schwarzenegger ) and the T-1000. As a side note I'm excited for the 5th Terminator movie to debut July 1st of 2015, I'm a huge fan of the Terminator franchise. Getting back on track to the restoration Reburned all 6 roms just incase and sure enough it fired right up. I'm not sure if the game went into shock after I recapped the ARII but everything seems fine now. I also cleaned up various metal parts sanding, painting etc.. The side art was in nice original condition so I didn't really mess with it too much other than doing a few minor touch ups. The coin door needed some attention, I decided to respray the coin door using black textured plastic. I used the same on the marquee metal parts. The control panel wasn't bad but some of the Atari cone buttons needed to be replaced. A long time ago they were reproduced, I was lucky to get them at the time because those are getting tougher to find. The monitor without a doubt needs a cap kit but I have yet to do that. Missile Command Is one of my oldest games in my collection It's amazing that the inside has parts on it that say 1979 even though the game came out in 1980 and they still work which is incredible. I used Novus plastic cleaner on the bezel to get out minor scratches, game still has it's original black cardboard behind the plexi. Below is a picture of the encoder wheel with it dated 1979. Game came out great and is a blast to play. I'm terrible at this game but it's really fun. Below is a picture of the finished game.